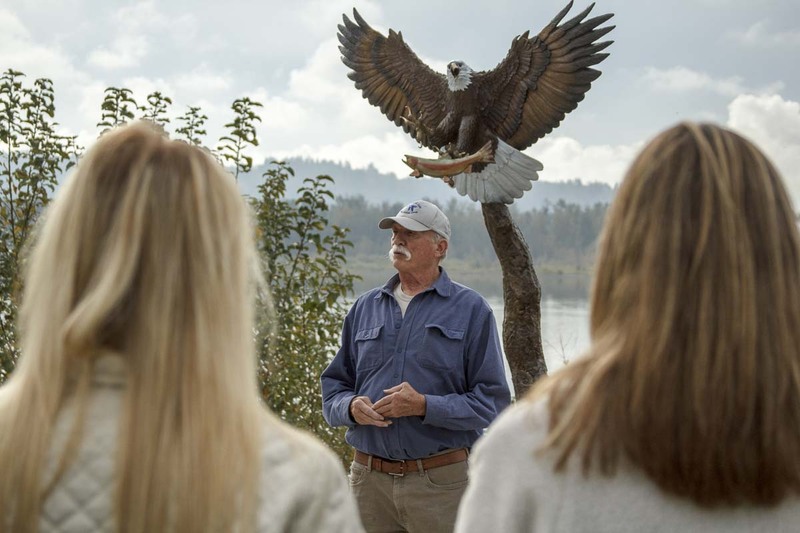 WASHOUGAL — The Port of Camas-Washougal unveiled its newest attraction at Waterfront Park on Wednesday morning: a 10-foot bronze statue of a bald eagle snatching a salmon in mid-air. The statue was commissioned with help from the Washougal Arts and Culture Alliance (WACA). Bronze sculptor Heather Soderberg-Green, of Cascade Locks, created the life-like artwork. 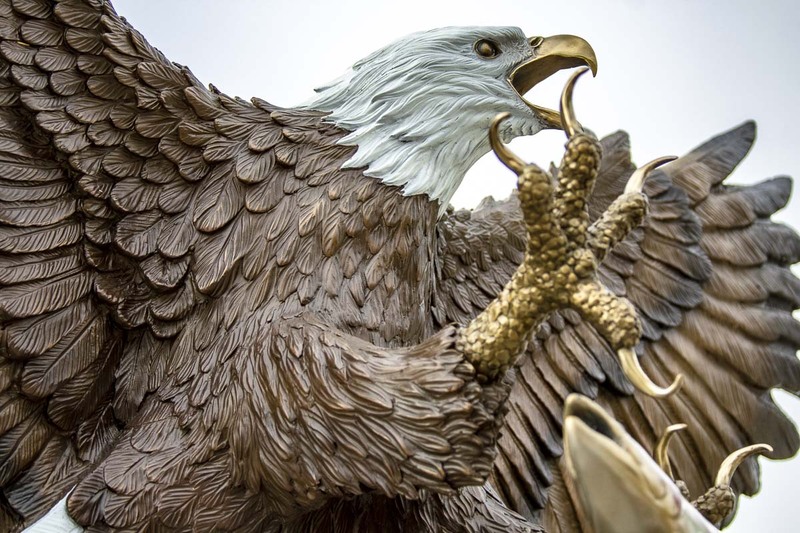 Entirely bronze, the eagle was sculpted in clay to create a mold, the mold was then filled with 2100 degree molten bronze, allowed to cool, sand blasted, and then painted in detail. 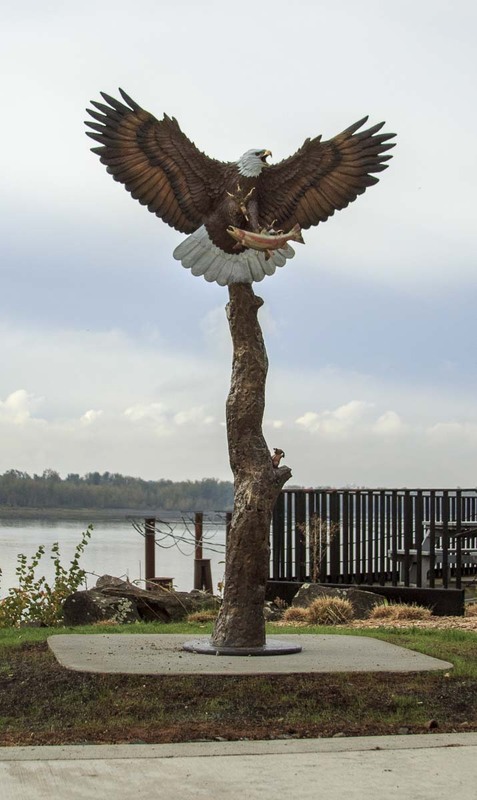 The bronze eagle sits in the southwest corner of Waterfront Park, overlooking the Columbia River. 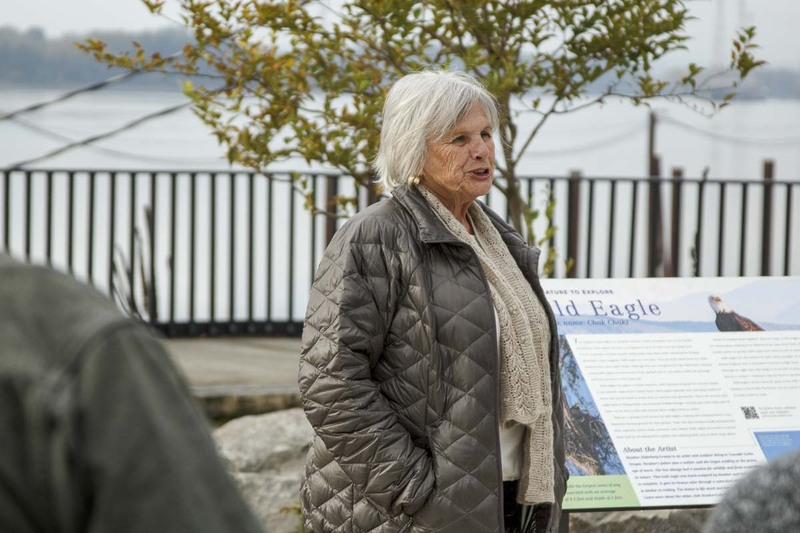 Wilson Cady of the Vancouver Audubon Society, spoke on the appropriateness of the statue being a bald eagle. 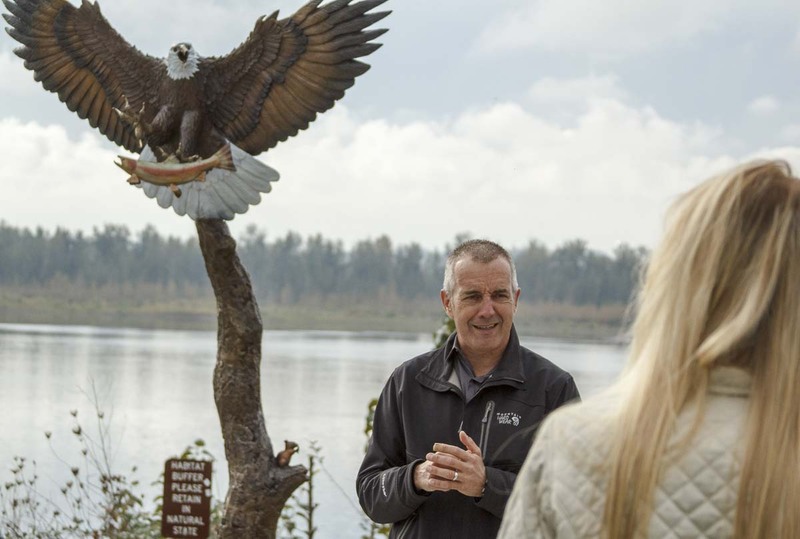 The area surrounding Washougal is one of best places to spot bald eagles in southwest Washington, he said. 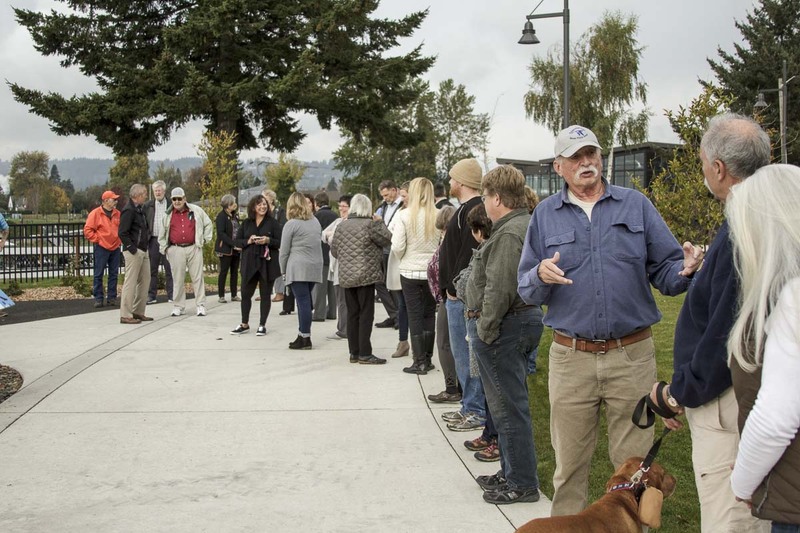 Along with Cady, executive director for The Port of Camas-Washougal, Dave Ripp, also spoke at the dedication ceremony.